Possibly the best dessert ever! 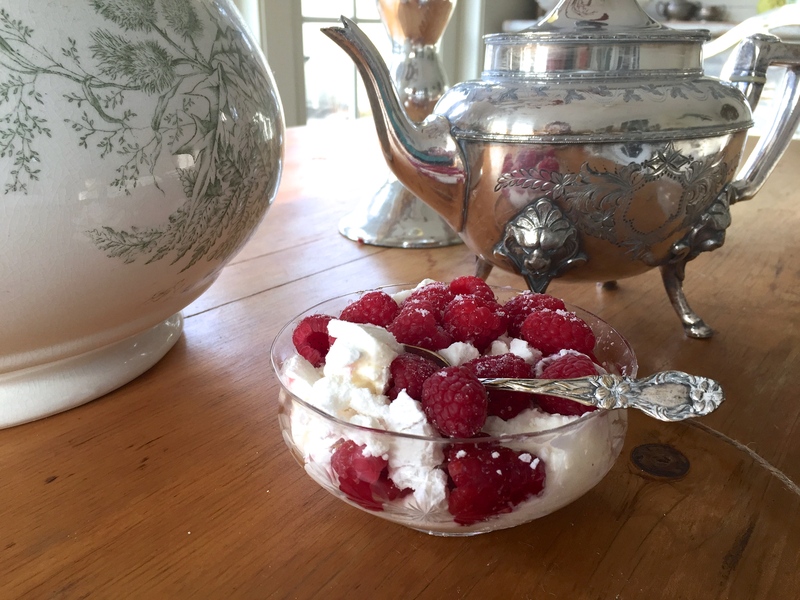 I found this classic meringue mixed with whipped cream and raspberries to be super fluffy and fresh. In an electric mixer, whip egg whites and cream of tartar on medium-high speed until soft peaks form. Gradually add the sugar and mix until stiff glossy peaks form. 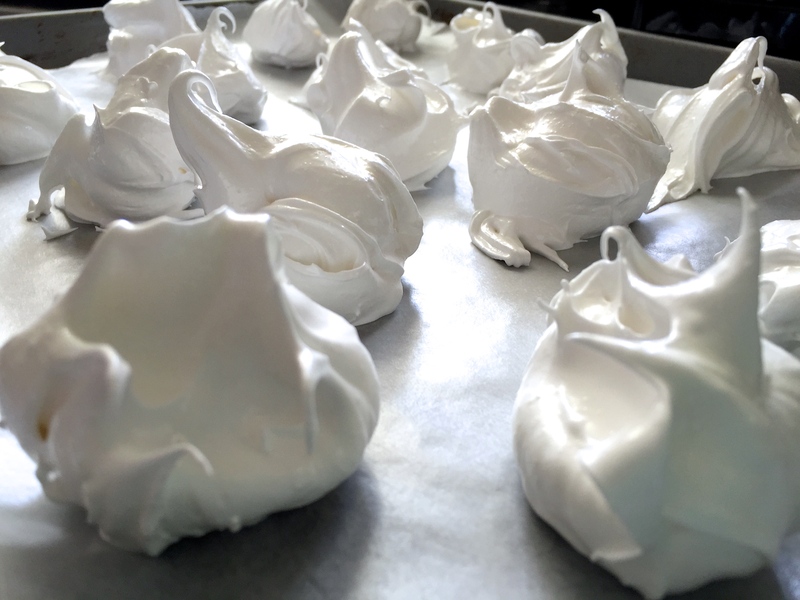 Drop spoonfuls of meringue about 1/2 inch apart onto parchment paper and bake in preheated oven for 1.5 hours at 200 degrees F. When the 1.5 hours is up, turn the oven off and leave the meringues in oven for another hour. Once the meringues are done, crumble them into bits. Both big chunks and dust is perfect. Feel free to take creative liberty once it comes to assemblage! 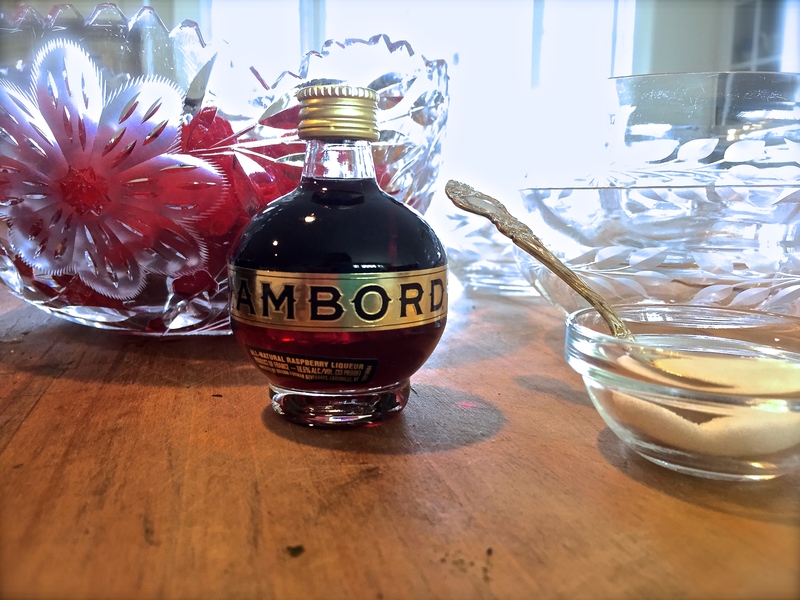 Rinse and dry the berries then add Chambord and sugar. Let the berries soak and get all juicy while you whip the cream! In an electric mixer, whip on high until thick (don’t over whip). Side note: I found that this is best to eat day of assemblage but if you want to do your prep work a day early, just wait to put together the 3 different parts of the recipe until you’re ready to serve it. Now it is time to assemble everything. First of all it is essential to have a beautiful glass dish or cup to serve them out of. I used these fancy etched glass bowls from Ingather, my and my mom’s antique shop. Moving forward.. Go ahead and fold all of the meringue you have crumbled up into the whipped cream (I set aside about 1/2 a cup to garnish the top of the dessert with). Now for the raspberries you can either go ahead and mix them right in (again saving a 1/2 cup for topping the dessert) or what I did was add the to each individual serving in layers because i didn’t want the cream and meringue to turn pink from the raspberry and chambered juice! Next you add a pretty spoon. You’ll blow your friends away once again with your mad baking skillzzz.